Raised in Southampton, Chef Hodgkins is inspired by and uses the best local ingredients. His passion for food service started when he was just a teen doing dishes at another neighbourhood favourite, The Walker House. Chef Hodgkins' passion has since become a long-standing career. A graduate of the much-heralded George Brown College Culinary program, Chef Hodgkins graduated in 1992. He has worked under and learned from a number of well-known chefs and has gained experience cooking in many different kitchens, including The Estates of Sunnybrook. 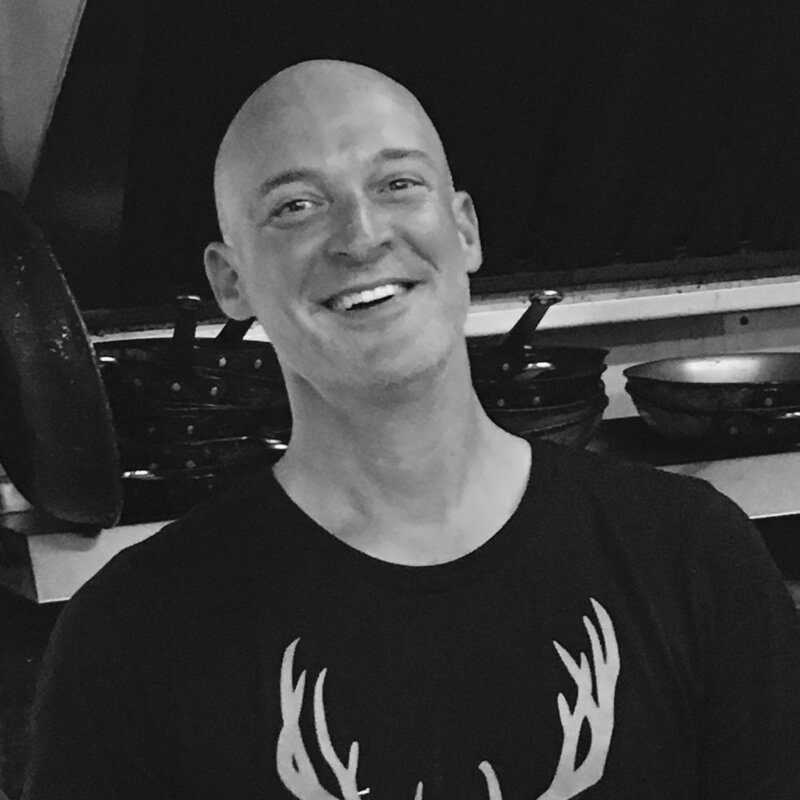 Chef Hodgkins returned home to Bruce County when he accepted the position of Executive Chef at The Elk & Finch when it opened in 2002. Since then, he has dedicated himself and his staff to creating menus and daily specials that showcase the best the area has to offer. In July of 2015, Chef Hodgkins stepped into the role of owner at The Elk & Finch. Who better than the man who has headed up the kitchen since the doors opened? His commitment to high-quality, local fare, served in a welcoming atmosphere, has established The Elk & Finch as a "must" for Southampton residents and visitors. Born and raised in Bruce County, Chef Sawyer learned to bake in a 4H Club, much like many young women brought up in rural Canada. Baking quickly became her focus and love at an early age. Chef Sawyer attended George Brown College for Culinary Management, graduating in 1982. She stayed in Toronto, honing her skills in some of the city's top restaurants and dessert shops, including Puffin Seafood & Pasta, Desserts by Phipps, and Trent Severn Waterway. Chef Sawyer moved back home to Bruce County in 1998 and worked at the exclusive and by-invitation only, Griffith Island. She then became Pastry Chef at the Elk & Finch when it opened in 2002. With over 30 years experience, Chef Sawyer is much-recognized for her abilities in the kitchen. In 2014, her caramel buttertart won "Best in Bruce County." Chef Sawyer is proud to call Bruce County home. Her culinary philosophy is based on a common-sense approach to cooking and baking with the seasons as well as respecting the ingredients, the technique and the process of sharing with others through food. Most of all, cooking and baking should be fun!